About an hour before sunrise on August 27, 2006, Comair Flight 5191 was approaching 120 miles per hour on its takeoff from the Blue Grass Airport in Lexington, Kentucky, when co-pilot James Polehinke noticed something strange about the runway. “Yeah,” said Capt. Jeffrey Clay. Sixteen seconds later, their 50-seat commuter jet ran out of runway. Polehinke just managed to get airborne but not enough. The plane hit an earthen berm, clipped a fence and a clump of trees, and went down in a ball of flames. If Shakespeare lived today, the playwright would surely be prescribed a sleep study. With his many references to sleep walking, apnea, insomnia, and nightmares, you can almost see the baggy-eyed bard sitting in his nightcap writing by candlelight. “O sleep, gentle sleep! Nature’s soft nurse, how have I frighted thee, that thou no more wilt weigh my eyelids down?” he bemoans in Henry IV, Part 2. It’s a familiar lament to all those who have lain awake yearning for sleep’s healing balm. But there the comparison ends. 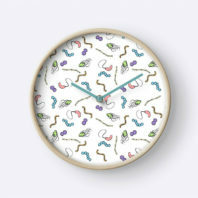 Do microbes dream of circadian sleep? Anticipation is sweet. In anticipation of the blooming light, plants unfurl their leaves. For many marine creatures, rising to the sea surface as the moon rises is the anticipatory signal that food is available. In our gut, too, microbes anticipate dinnertime because microorganisms have internal clocks that sound the dinner bell. “And here’s where it gets interesting,” says Hans Van Dongen, a professor of psychology at Washington State University Spokane and internationally known sleep expert. Sleep and Run—How do they do that?